Before I start my post today, I wanted to let you know that free shipping on signed copies of my book ends tomorrow. On March 2, shipping and handling will be $4.00. Just a heads up! Over the past few weeks, I've been prototyping and designing a new bag pattern! I wasn't expecting to share it quite this soon, but everything fell into place so quickly at the end, so here it is. Hurray for something going faster than expected! That hardly EVER happens, so it's noteworthy, for sure! 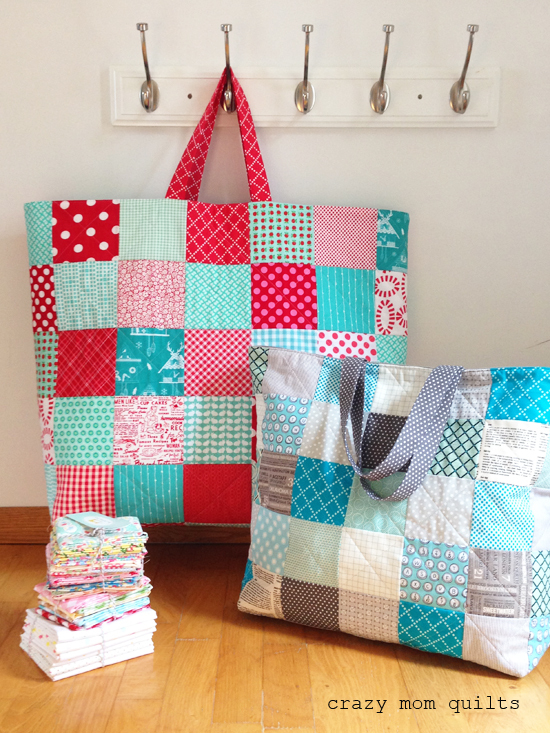 These bags were designed especially for taking quilts to show and tell at a guild meeting or large projects to a quilt retreat. 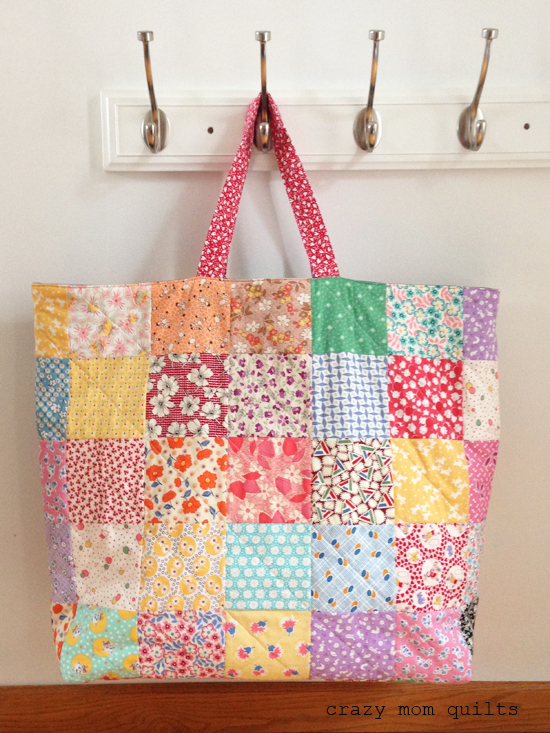 A few years ago, I made a huge bag as a part of a challenge at my local quilt shop. I've used that bag an awful lot over the years. I have re-designed the bag construction and I also made it in three sizes... because one size is simply not enough! The medium size uses 4" squares and it finishes at 17 1/2" wide x 17" tall x 4 1/2" deep. 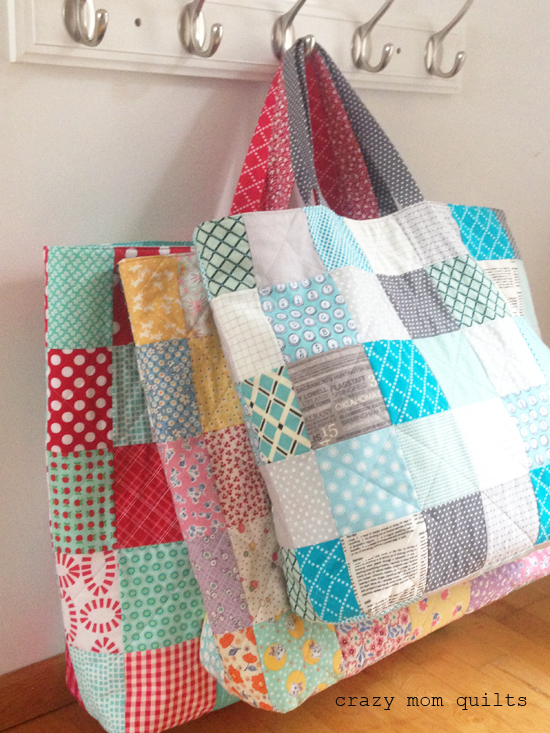 It is great for carrying baby or lap size quilts. The large size uses 4 1/2" squares and it finishes at 20" wide x 19 1/2" tall x 5 1/2" deep. 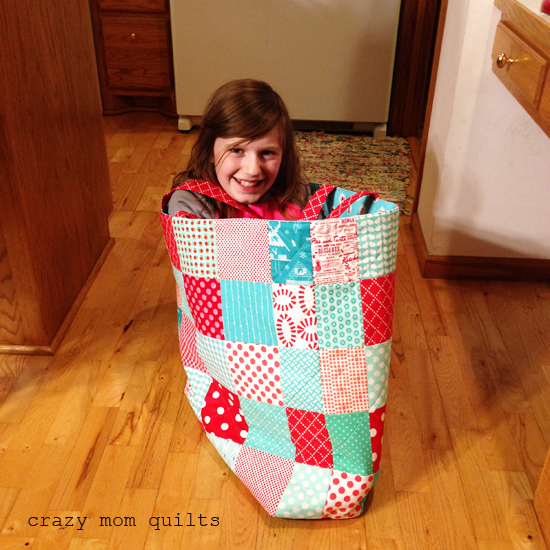 This one is great for large lap or twin size quilts. 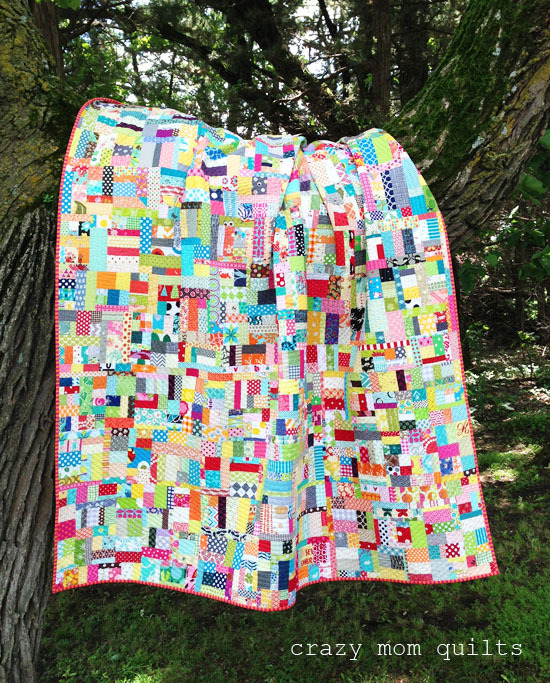 The jumbo size uses 5" squares and it finishes at 22 1/2" wide x 22" tall x 6" deep. Admittedly, the jumbo size is a little bit ridiculous. It is HUGE.... it fits at least two king size quilts. (Because it's totally plausible that someone would have not only one, but two KING size quilts for show and tell, right?!?!?!) I love that it's so ridiculous. It will also be very useful! I love that the bag looks so different in each of the fabric choices. So many possibilities! 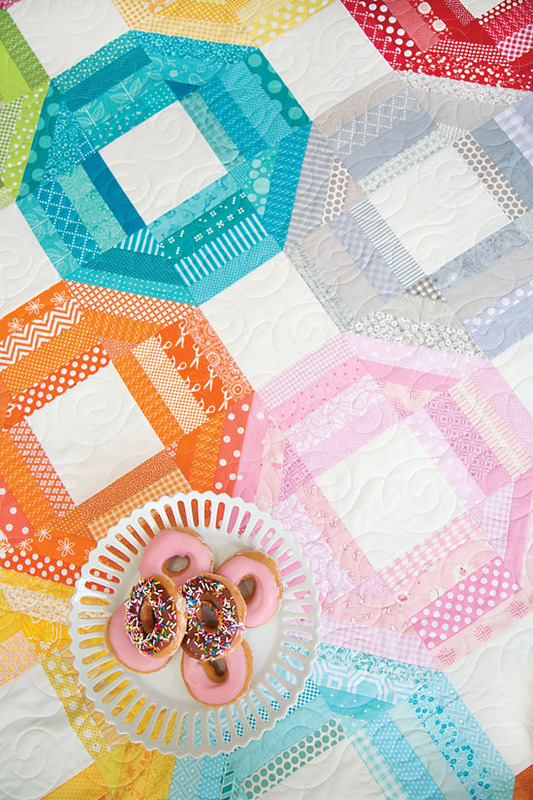 The pattern is charm square or layer cake friendly. Each bag exterior uses 20 10" squares or less, so if you have a layer cake with 42 squares, you could make patchwork for two bags from it! The PDF pattern is available for purchase here, for immediate download, if you are interested. It's been over a month since I finished a quilt. That seems like a long time. Hahaha! I am so glad that this one is finished! I absolutely love how it turned out! 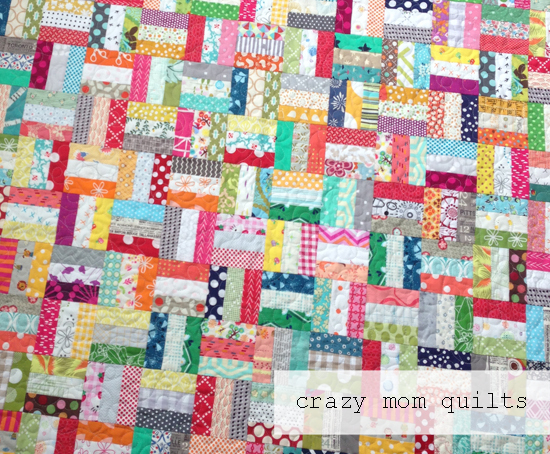 I started calling this the bruiser quilt as a joke, but the name stuck. 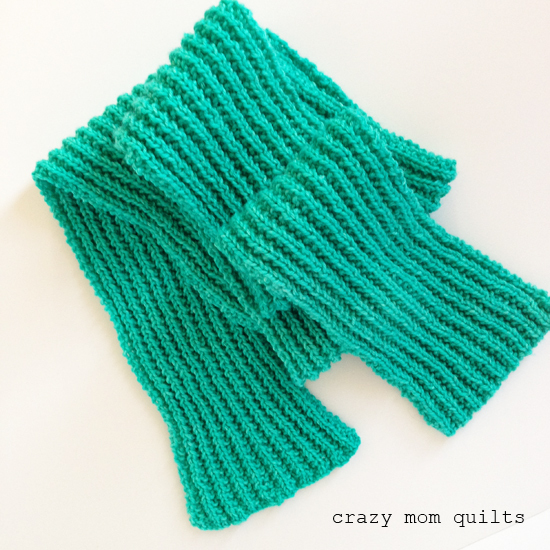 The pattern is called All Sizes, and it can be found in my book, No Scrap Left Behind. 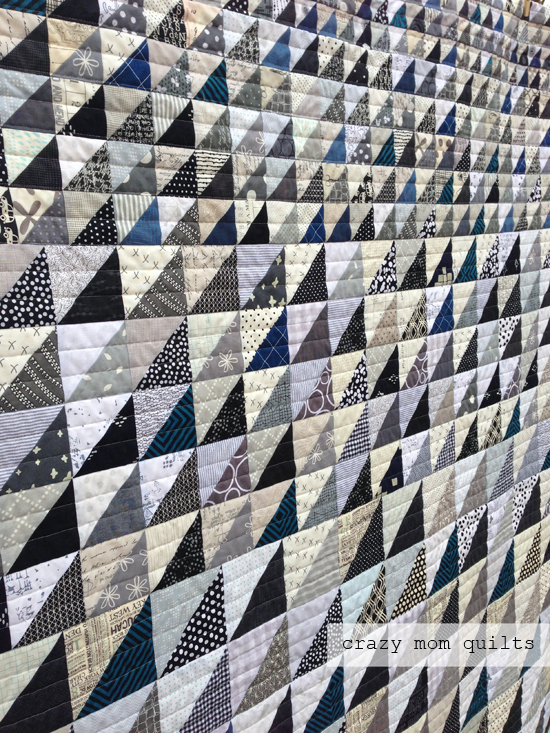 There are a whole lot of triangles in this quilt, but making them in batches (10, 20 or 50 at a time) really helped to break up the monotony of the piecing. I also trimmed them in smaller batches to prevent cutting fatigue. As I made the triangles, I added them to the design wall, so I could constantly monitor my color and value balance. I had this black and blue print in my stash since 2013 (designed by Julianna Horner for JoAnn's) and I can't tell you how happy I was to be able to use to bind this quilt! I don't think there could be a better match. I hand stitched down the binding over the past few days, which was delightful. 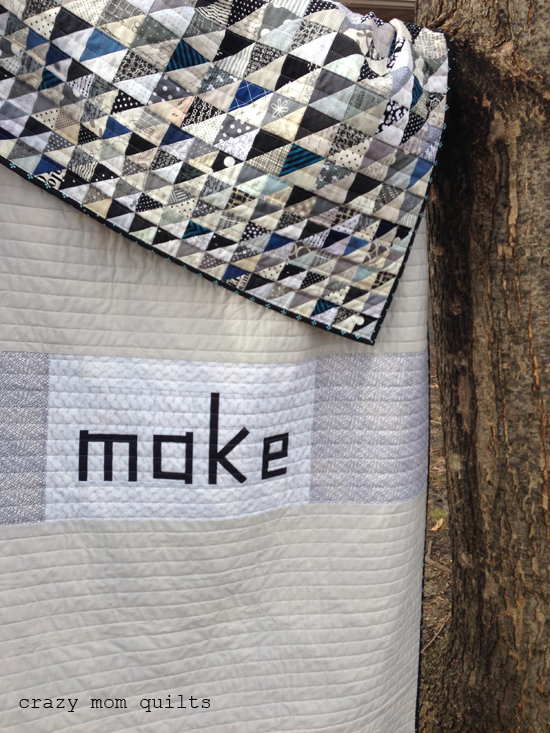 Remember the word "make" that I pieced from Cheryl's new fabric line? It found it's way onto the back of this quilt! 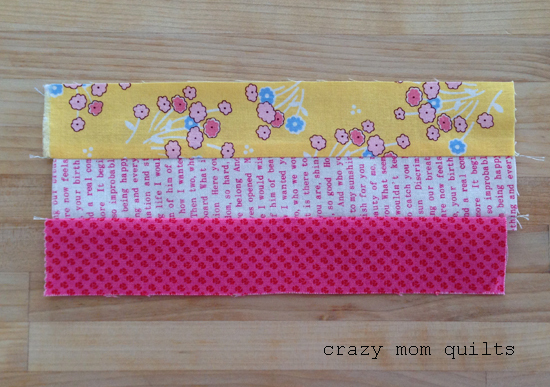 Since it coordinated so well with the front, I had to incorporate it into the backing. I sent this one off to the quilter for straight line quilting. 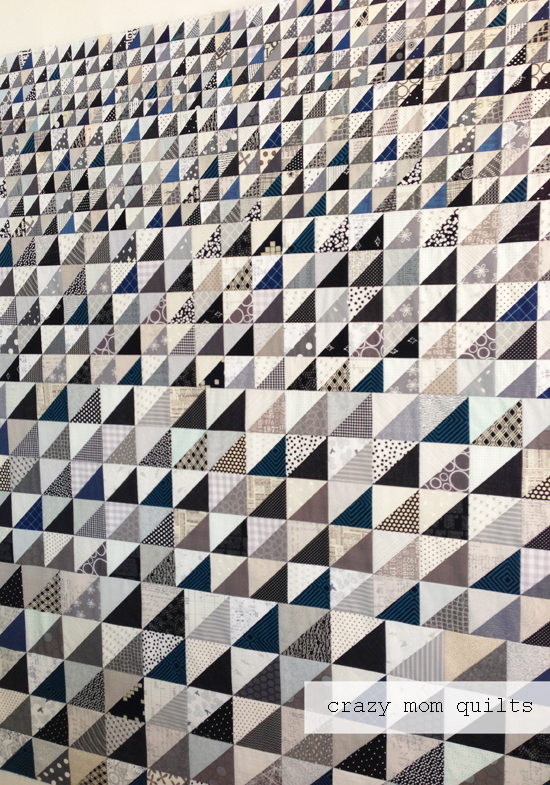 I didn't want to deal with all those seams and possible distortion when quilting over hundreds of triangles. Steffani did a great job on it! The quilt measures about 60" x 77 1/2". 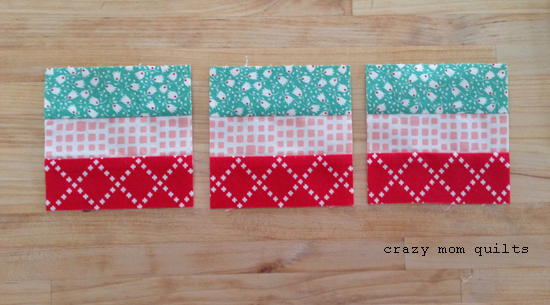 I'm now down to 6 quilt WIPs at the moment! Woohoo! Finishing feels GREAT! Now, it's your turn! Please link up your finishes for the week. Thank you for joining me for finish it up Friday! 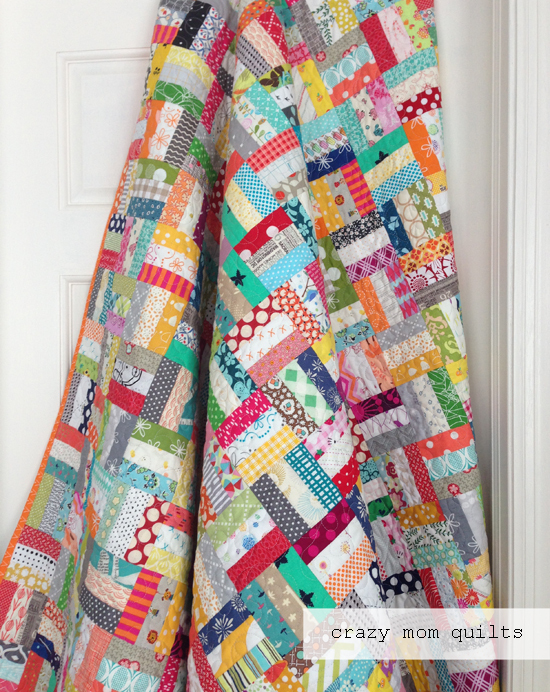 So many tiny scraps were used up in this quilt top! At one point I was running low on tiny scraps because I used most of them up previous blocks, but thankfully that problem was short lived. All I had to do is wait a week or two, and there were plenty more from other projects! These blocks finish at about 12 1/4" square. 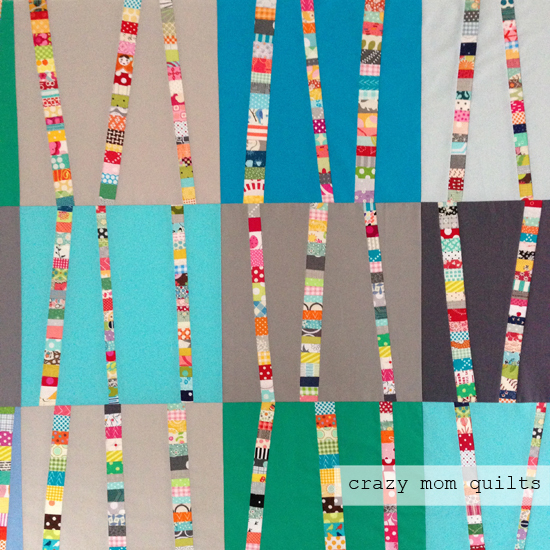 Even though I love these birch tree quilts, I'm determined to branch out (hahahaha!) next time around and use my tiny scraps in another format. I've got a few ideas.....and plenty more scraps! 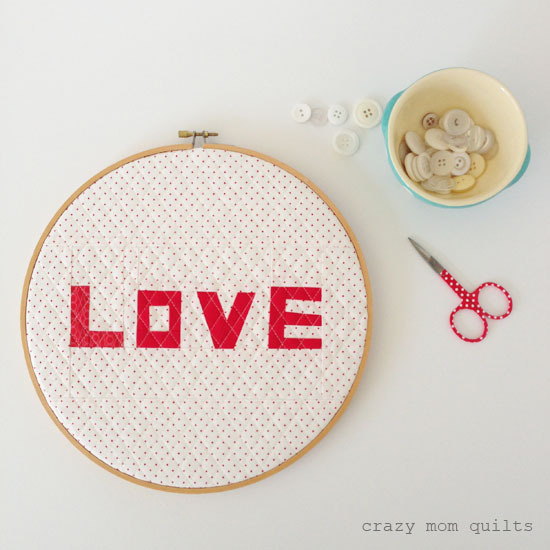 A few days ago, I attempted to make a pincushion with the word LOVE on it, but it turned out waaaay too big, so I turned it into hoop art instead! I've been kicking around the idea of making something like this for a long time, I just didn't realize that it would be this week! Ha! The letters were pieced improvisationally. I ran out of red fabric (ridiculous, but true!) so I made the L from a print rather than a solid. I love that it is a little bit scrappy! The hoop was hanging up, empty, for a few years (!!!) so nice finally have it filled. I think it looks pretty cute on my wall next to the be positive one that I made awhile back. 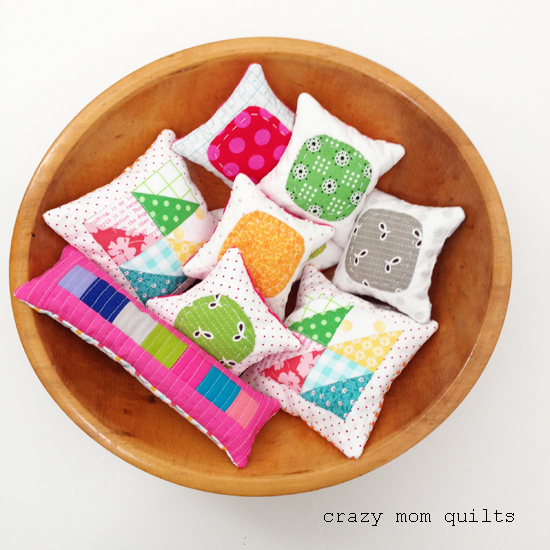 They are a bright and cheery part of my sewing room! 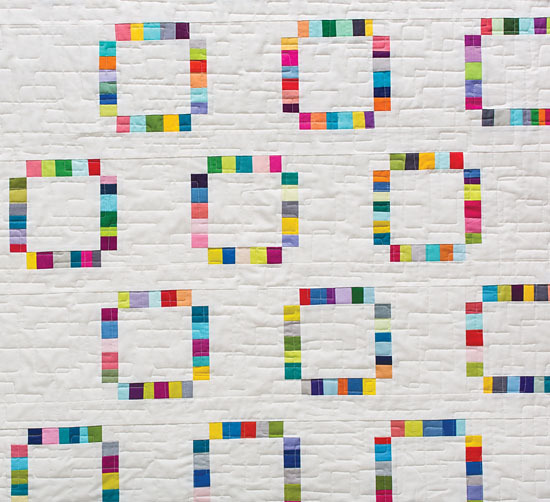 I wanted to say a quick thank you for all the kind comments on my top 10 tips for successful scrap quilting post. I am glad that it was helpful to so many of you! 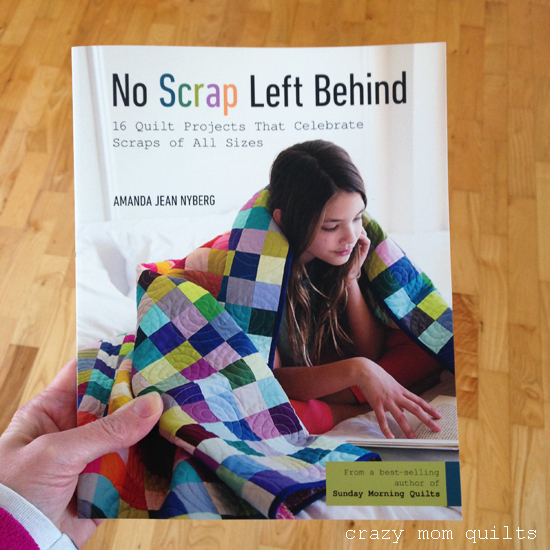 If you've read my blog for more than a week, you know that my love for scraps runs deep! 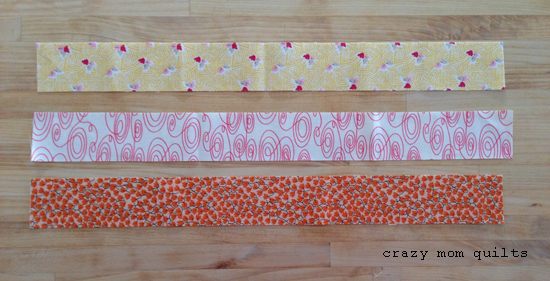 I enjoy using my scraps and I want you to be excited about using your scraps as well. 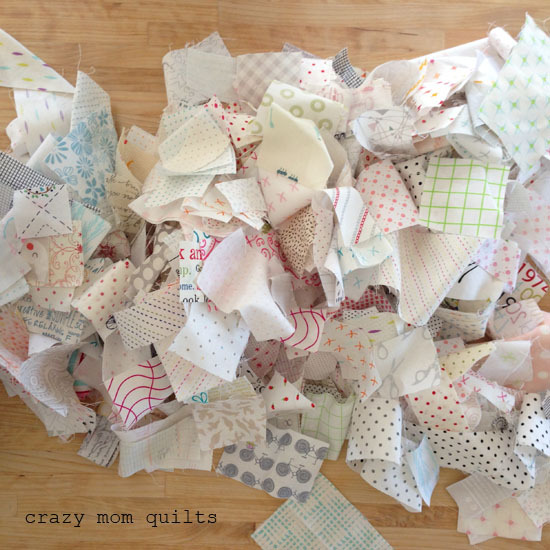 If you sew or make quilts, there will be scraps to deal with....like it or not! Might as well embrace them, right? Everyone is going define the term "scrap" differently. I consider anything that is less than a fat quarter a scrap. It's a very big scrap for me, but for sake of ease, that is my cut off line when I sort. (The size shown above is more my speed, to be honest.) How you define a scrap is up to you! 1. Admit that you have a problem. (Isn't that always the first step?) 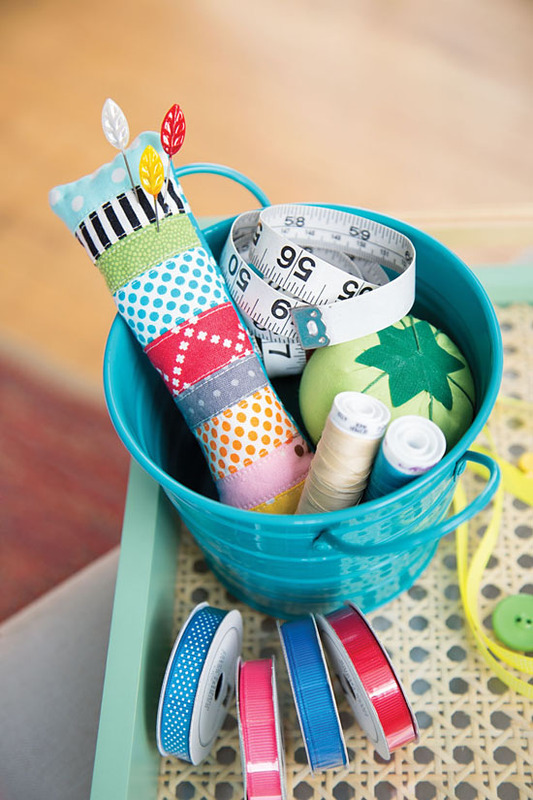 If you are overwhelmed by your scraps, this may be extremely easy! Do you want to create order and tame the chaos? Admitting that you have a problem (and wanting to fix it!) is a great first step. Personally, I have a problem with saving everything. Well, almost everything! 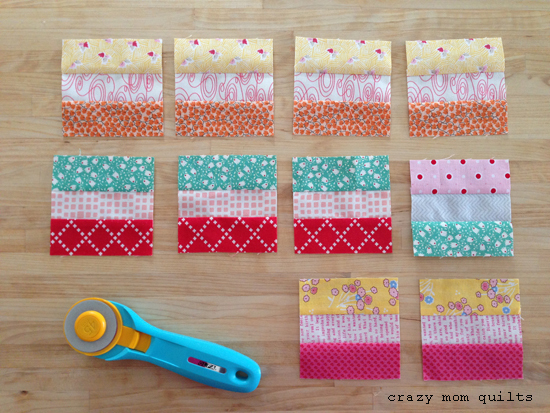 I save scraps smaller than 1" square, especially when they are this cute! It's crazy...I'll be the first to admit it. I do use them, however, so I continue to save them. 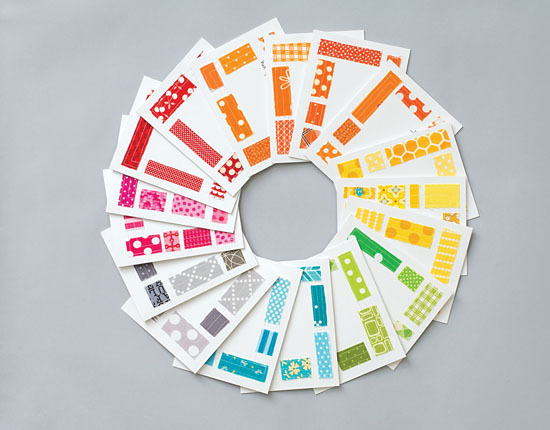 I use them for bright birch tree quilts, needle books and ticker tape canvases, just to name a few things. 2. Assess your scraps. This goes hand in hand with step one. What do you think you will realistically use? If you don't think you will use it, pass it along to someone who will! Some days are much better for this than others. If you are in a cleaning or purging mood, this is a good time to assess your scraps. Clear them out, pass them along and don't look back! 3. Clean them up. If you have fabric that was previously sewn together (like strips leftover from a quilt backing), cut them apart and remove the sewn seams. 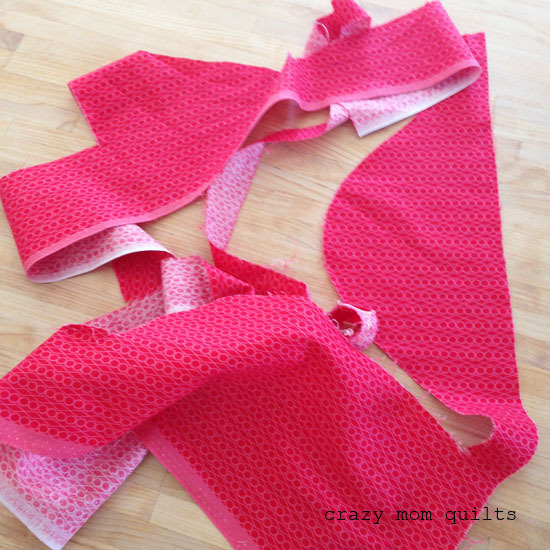 If you have odd cuts, whether you've cut out one circle or a complete garment, cut the remainders into usable pieces, like squares, rectangles, strips or triangles. Let's illustrate this...just for fun. Here's a random scrap that I pulled out of my bin of scraps that need to be cleaned up. In this shape, this scrap is very uninspiring and maybe even a little bit intimidating. ...and then I chopped it into usable pieces. These pieces include: selvages (that I save to knit rag rugs), triangles, strings, a larger piece that will go into my color boxes and the tiny pieces for my ticker tape drawer. On the bottom right are the scraps that I will throw away. Now, these remaining scraps are user friendly! The chances of these scraps getting sewn up has dramatically increased. For the pieces smaller than a charm square, I place like sizes/shapes together, and mix all the colors together. Strings are one of my categories where all of the colors are stored together. I have a blog post about my extensive sorting system here, if you care to read it. 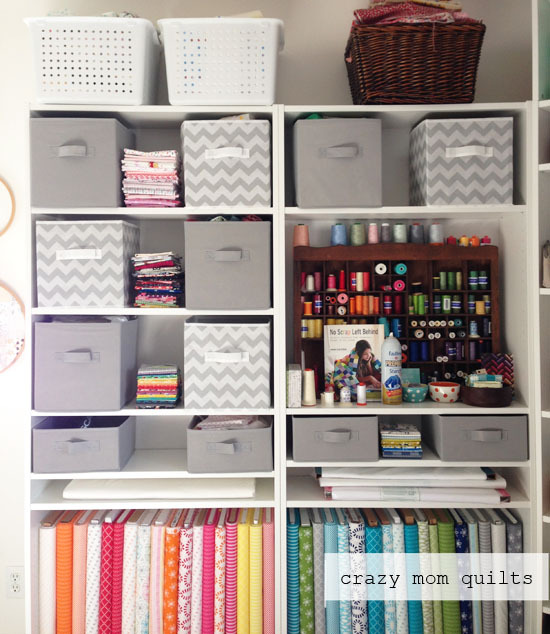 My storage plan is extensive, and it continues to grow, but scraps are my main focus. I have to room to store them, so it works for me. (At least half of the bins pictured here are holding scraps!) 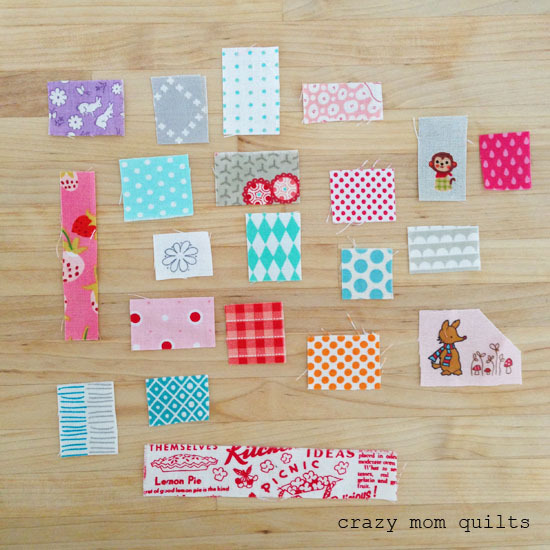 My scrap storage methods are in a constant state of flux, depending upon what quilts I'm working on at the time. That is actually a very good thing! The addition and deletion of categories as I begin and end projects helps me maintain good organization. 6. Work on a few long term projects at a time. 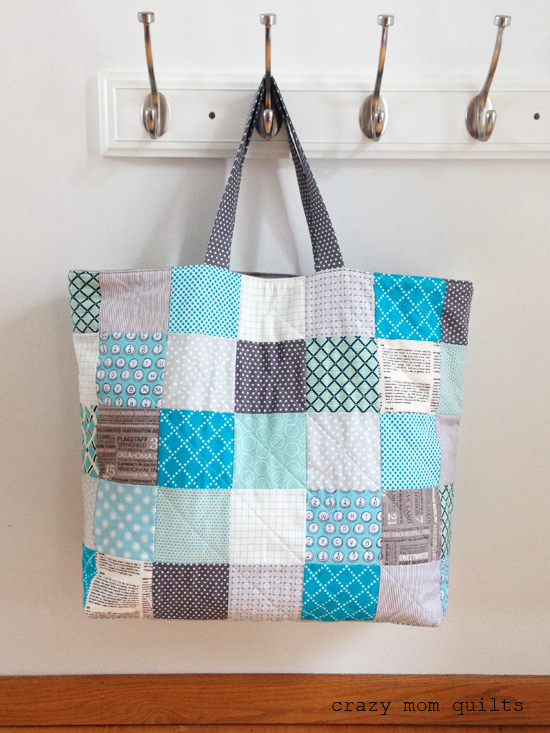 Scrap quilts aren't quick and I'm not going to try to convince you otherwise. One can only look at a single project for so long. Mixing up a few different long-term projects is a very good thing! I'm not one to do leaders and enders projects (oh boy, I wish I was!) but I find that doing some prep cutting and getting things sorted and organized ahead of time helps. 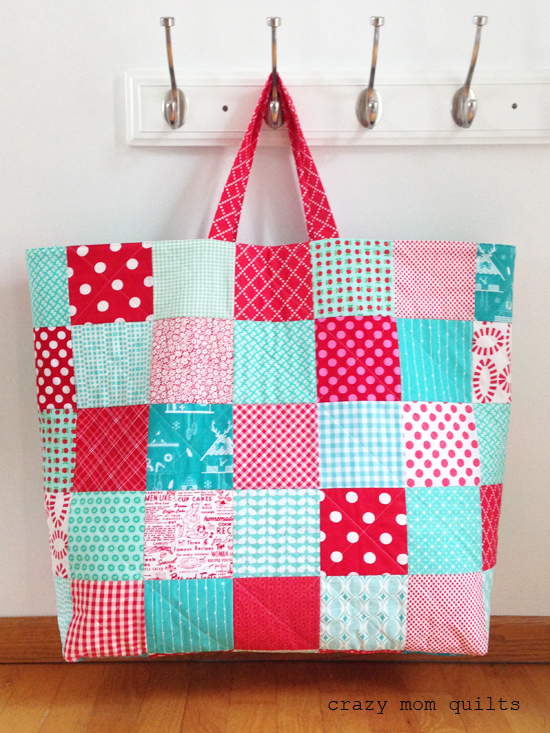 That way, if I have about 20 minutes to sew, I can sit down with a bin or basket of scraps and get a little bit done. Little bits of sewing time add up to finished quilts, eventually. 7. Edit. This may be the most important step! 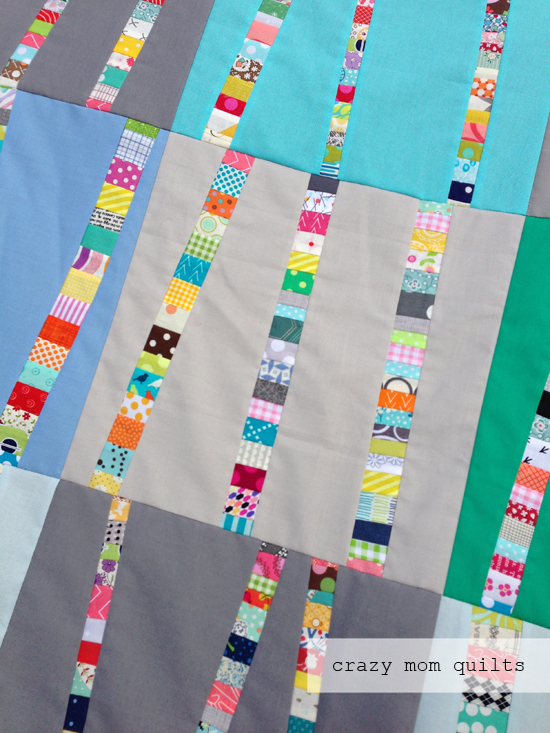 Just because you are making a scrappy quilt, doesn't mean that you have to put every scrap that you have into one quilt. Make good fabric choices along the way. 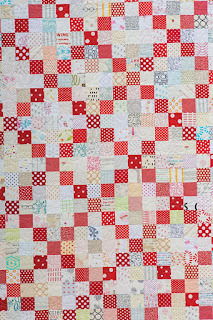 Edit until the very last block is sewn up. 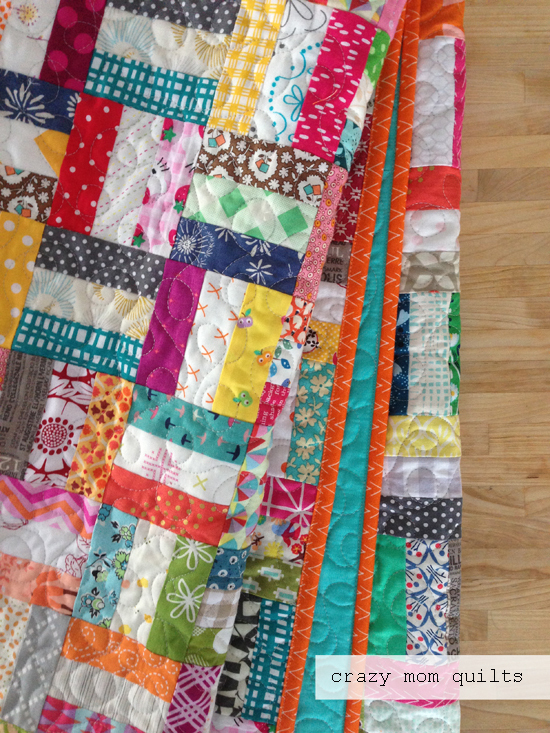 Even on my scrap vortex quilts, where it looks like I just threw everything together, a whole lot of editing (and careful arranging) was done along the way. 8. Cut a fresh edge. Strings (which are generally 2 1/2" wide or less and vary in length) are the hardest category for me to get excited about. One of the major reasons why is because they get stringy! It drives me crazy, but there is a simple way to fix it. Press the scrap flat, then cut a fresh edge, on one side or both. Isn't that so much better? 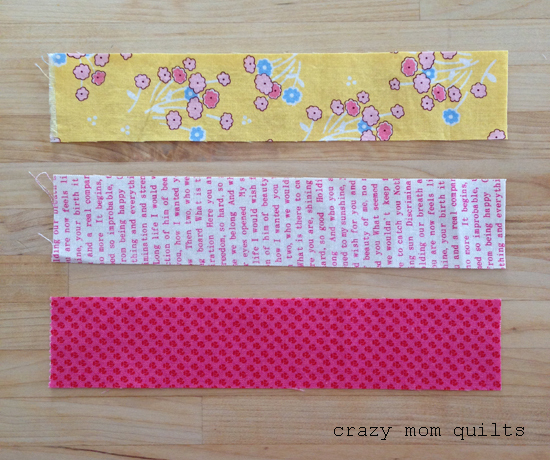 Cutting a fresh edge will make sewing strings together easier and the back of your quilt will be nice and tidy. Cut right before you sew, for best results. Once the string goes back into the bin and gets tumbled around, it will stringy again. 9. Keep the scrap door revolving. This is a bit of an overlap with tip # 2, but I think it deserves a closer look. I have plenty of friends that pass along their scraps to me. 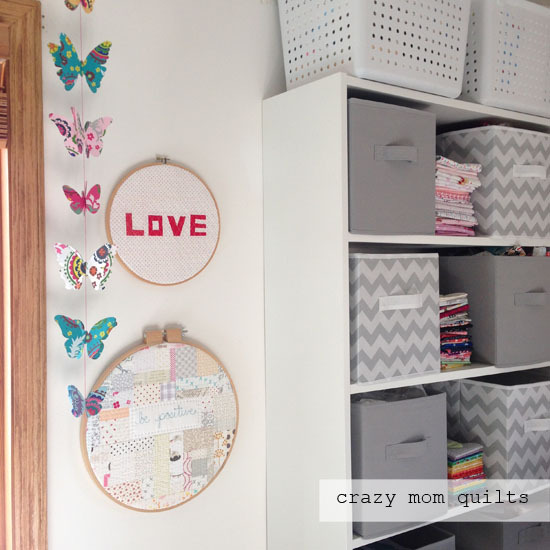 I love that, and my quilts are better because of it! 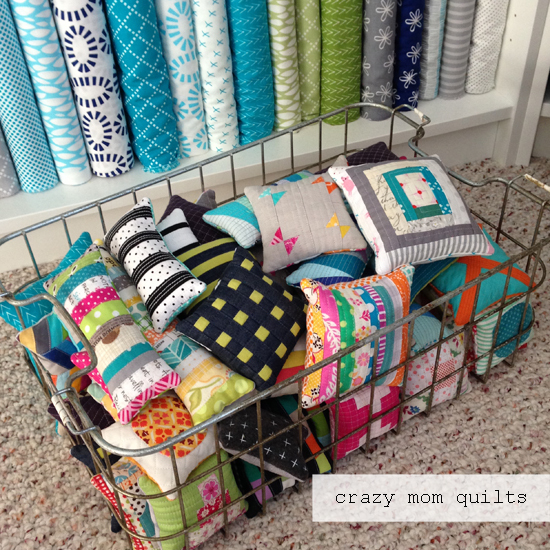 Because lets face it...when it comes to scrap quilts, variety is key. The flip side of that is, I have an awful lot of scraps... more than I can ever use in my lifetime. 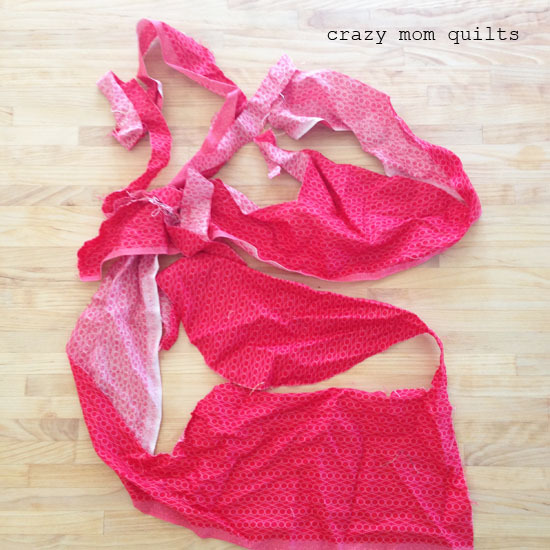 I continually pass scraps along to others, too. 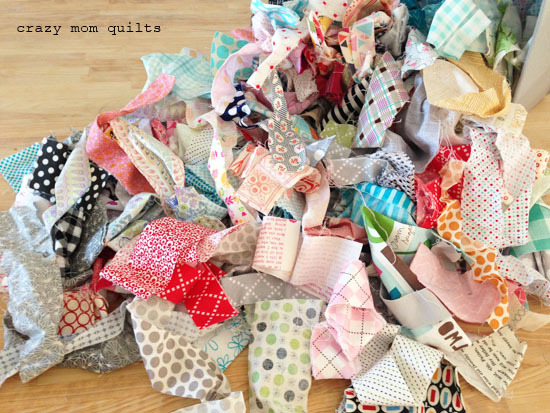 I try to put a bag or two of scraps on the free table every month at my quilt guild meetings. This keeps me from getting bogged down with scraps. 10. 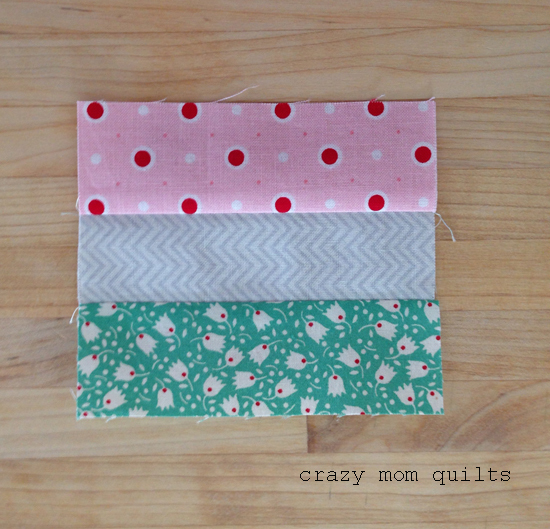 Make small projects, not just quilts! 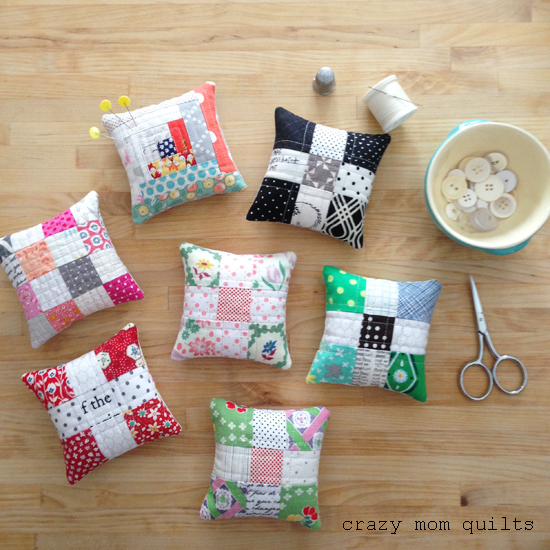 Pincushions, cards, and pillows are some of my favorite small projects to make with scraps. These projects are quick to finish and give you a feeling of accomplishment that you may need to carry you through until you can complete a larger scrap quilt. None of these steps are a "one and done" type of thing. Scrap management takes routine maintenance, much like cleaning a house. I hate to say it, but it's true! 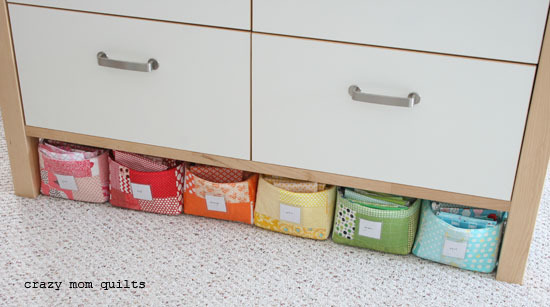 However, if you take steps toward organization, it will be easier to maintain your scraps. If you have a spot for everything, you will know where to put things away. 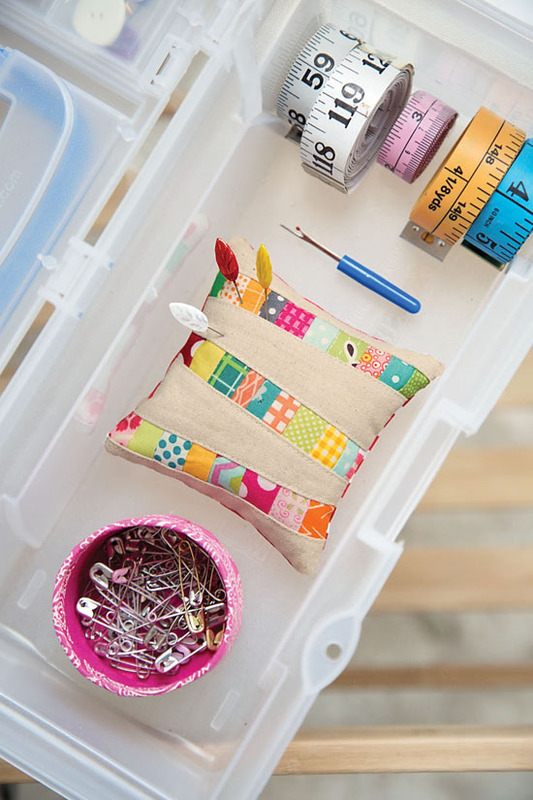 Getting organized means you will also know where to look when you need that perfect scrap for your project. I hope that helps! If you have a favorite scrap tip to share with me, I'd love to hear about it in the comments! First off, THANK YOU for your kind comments and excitement about my book! I appreciate each and every one! Your support means so much! 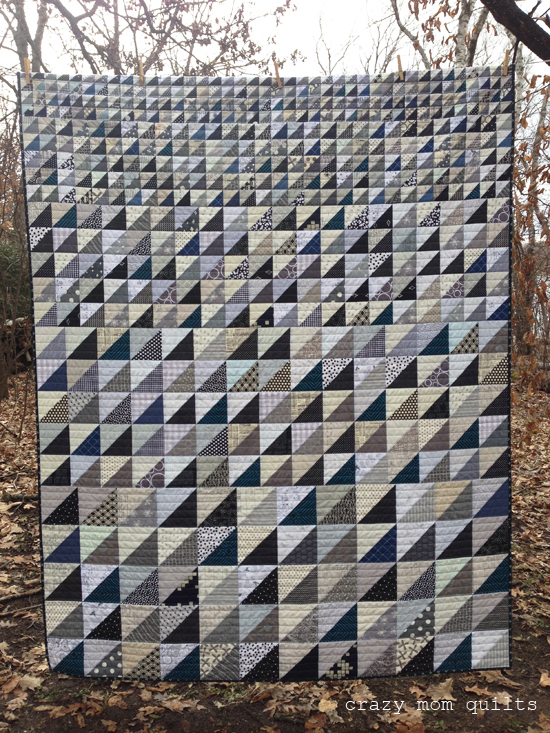 I managed to finish my bruiser quilt top this week! 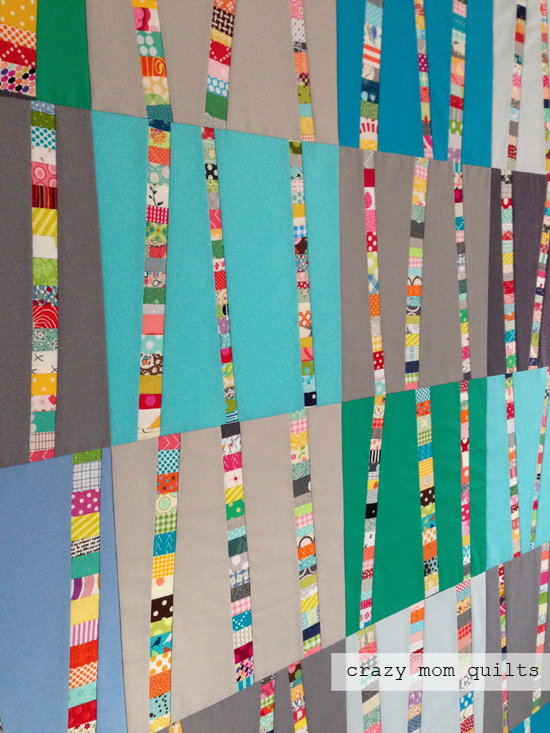 I had a hard time getting a decent photo of the entire quilt before I sent it off to the quilter. I was in a hurry, so that certainly didn't help. In fact, I was in such a pinch that I actually de-threaded it in my van before I shipped it off. De-threading is a pain. De-threading in a vehicle is on my list of things to never do again. Hahaha! The pattern is called All Sizes, which is in my new book. It's fun to see a more muted version of this pattern, although I am quite fond of the bright and happy version as well. 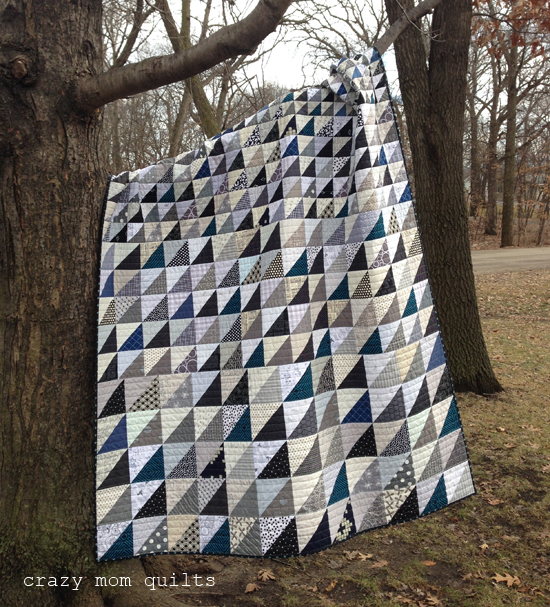 If I counted right, there are only (gulp) 585 HSTs in this quilt. 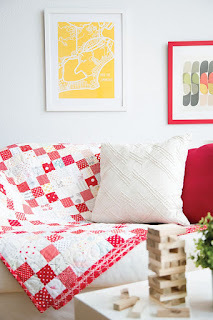 I can't wait to see it all quilted up! It's so great to finally have it in my hands! It's been a long time coming. The suspense was killing me! I submitted my proposal for this book in July of 2015 and I officially started writing it in August 2015. That means that it takes more than twice as long to make a book as it does to have a baby. (Hahaha!) Both are painful in their own right, but they both have a lot of joy and excitement surrounding them. I'm so pleased that it's finally time to send this book out into the world. I'm tickled with how it turned out! The official release date is Feb 20! I plan to be at Quilt Con in a few weeks! I will be doing a book signing at the C&T Publishing booth on February 24, 2017 from 12-1 pm. I'd LOVE to see you there! C&T is offering 20% discount off the cover price at the book signing. The book is available for pre-order on Amazon, of course! There's so much more, but I think I'll leave it at that today. 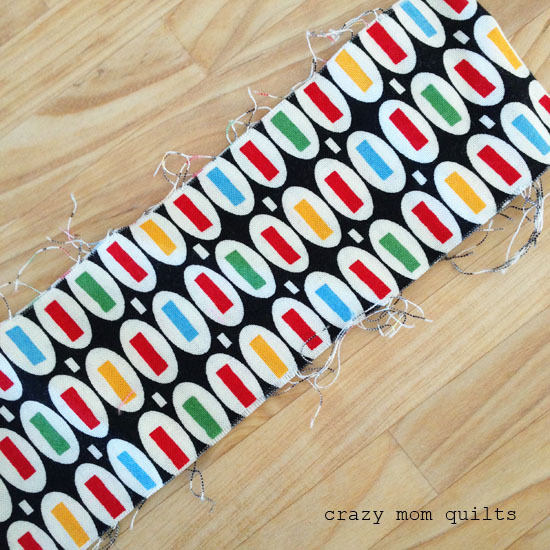 Today I will be sharing a tutorial on how to make a crazy rails quilt. 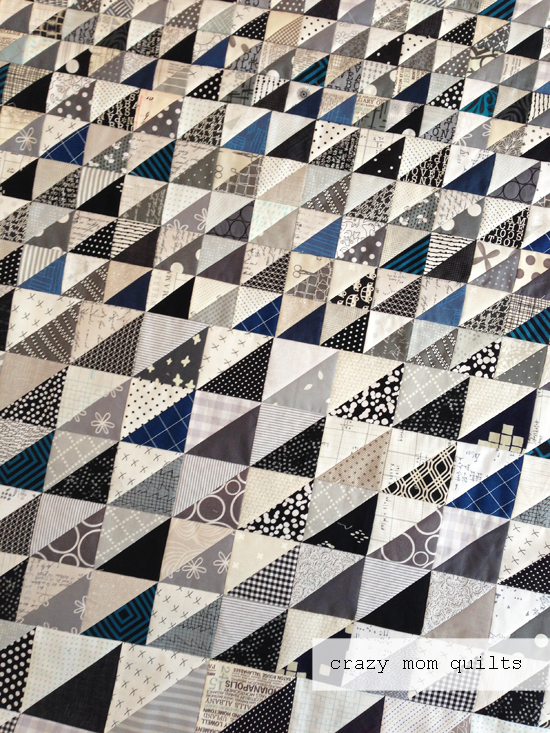 (You can see more photos of my crazy rails quilt here, if you'd like.) 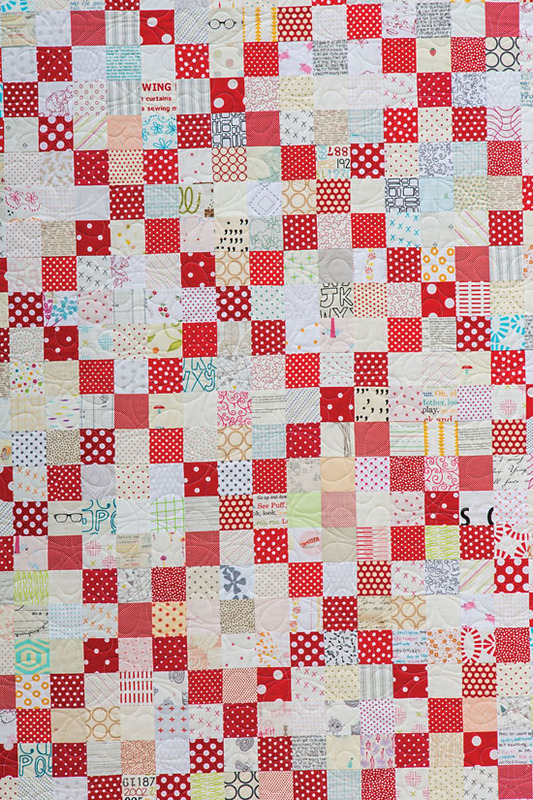 My quilt was inspired by a vintage quilt (below) that belongs to Rebecca, who is a member of my modern quilt guild. 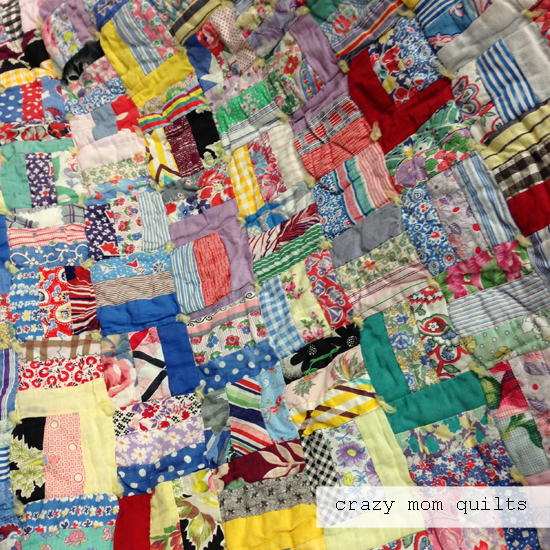 Someone in Rebecca's family was on the verge of throwing this quilt away, but her dad stepped in a saved it. 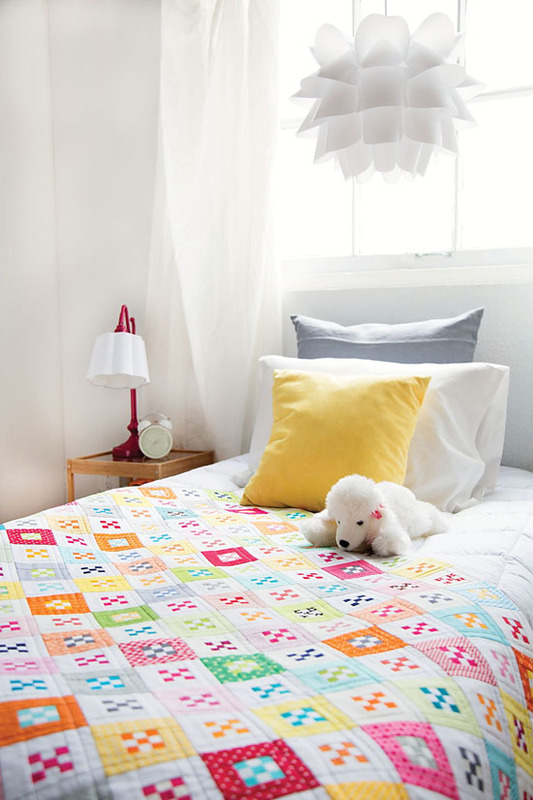 I'm so glad that this quilt was rescued. It's a beauty... so inspiring! 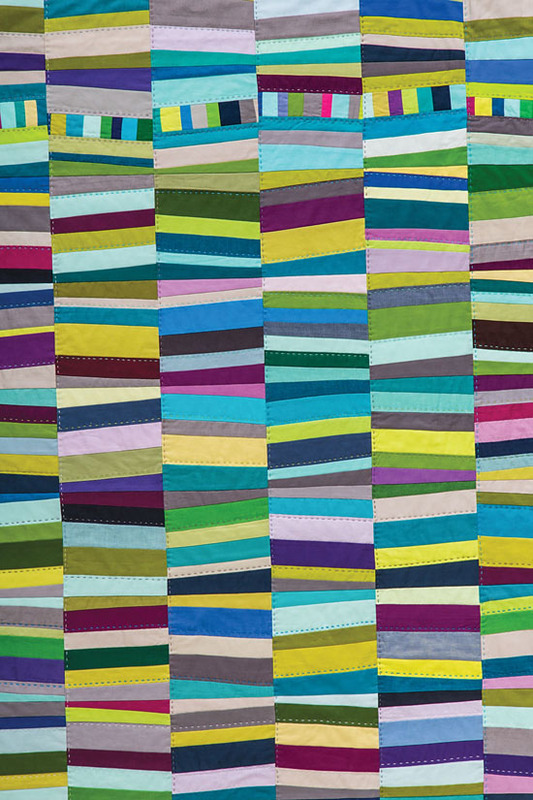 This is the kind of quilt that one could sit under and look at the fabrics for hours. I just love it! All seam allowances are 1/4". Each block finishes at 3". Each individual "rail" finishes at 1" x 3". I made blocks by strip piecing, mostly, but I also pieced some blocks individually. I like doing both. Strip piecing saves a lot of time, but I am able to use up smaller pieces by making blocks one at a time. The mix of the two methods gave me a nice variety of blocks to work with in the final layout. 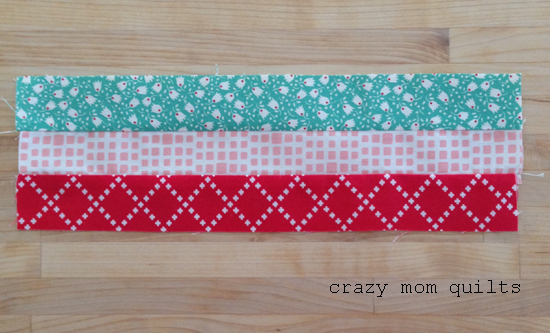 Cut three strips of fabric 1 1/2" x 4". 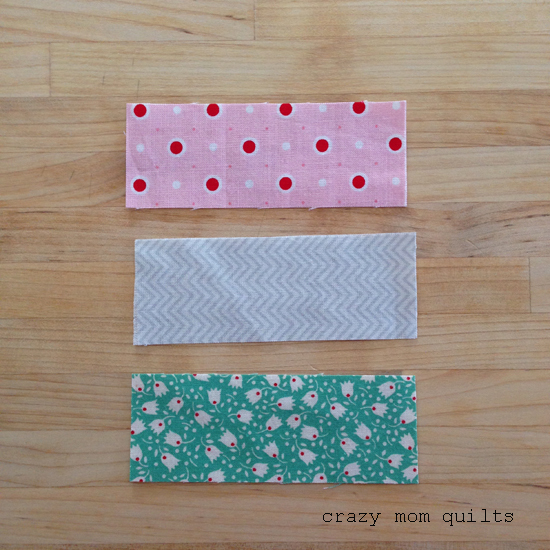 Sew the strips together and press seams to the side, or open, whichever you prefer. I generally press the seams toward the darker fabrics. Trim the block to 3 1/2" square. There is very little waste, as you can see. I trimmed from both ends of the block, to ensure that the block is exactly square. Cut 3 strips 1 1/2" x 7 1/2". 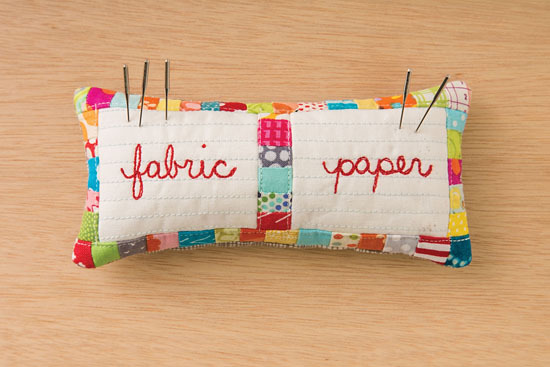 Sew together and press seams. 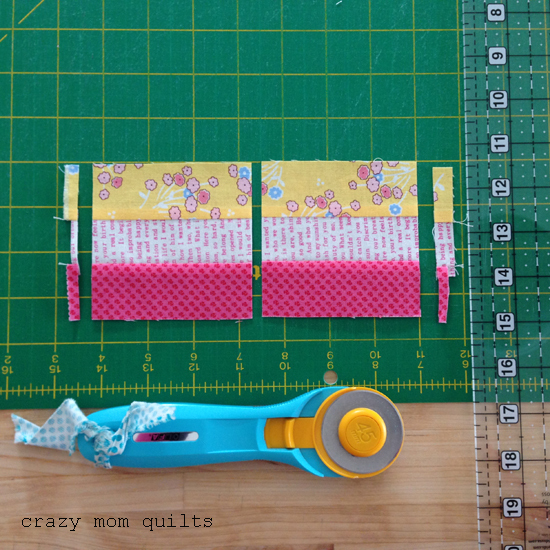 Trim the strip set to make 2 blocks, each measuring 3 1/2" square. Cut 3 strips 1 1/2" x 11". Trim the strip set to make 3 blocks, each measuring 3 1/2" square. Cut 3 strips 1 1/2" x 14 1/2". Sew together and press. Trim the strip set to make 4 blocks, each measuring 3 1/2" square. You could make more that 4 blocks at a time, if you wanted to. Personally, I prefer to have fewer blocks that are exactly the same. Playing with different fabric combinations was a lot of fun! 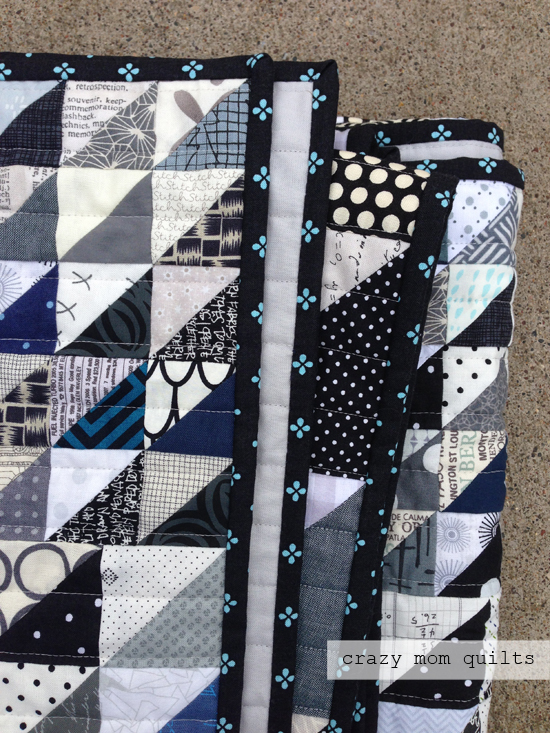 Strip piecing definitely helps make this quilt manageable. I made these 10 blocks in a matter of a few minutes. 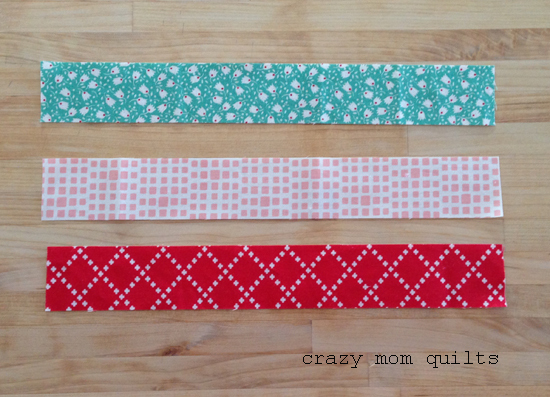 One other handy thing....I'm piecing a log cabin quilt (measurements here) that also uses 1 1/2" wide strips. 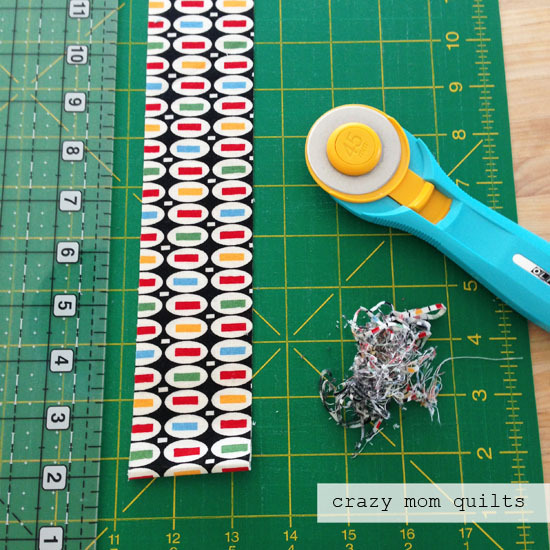 It's nice to be able to cut fabric for both quilts at once! 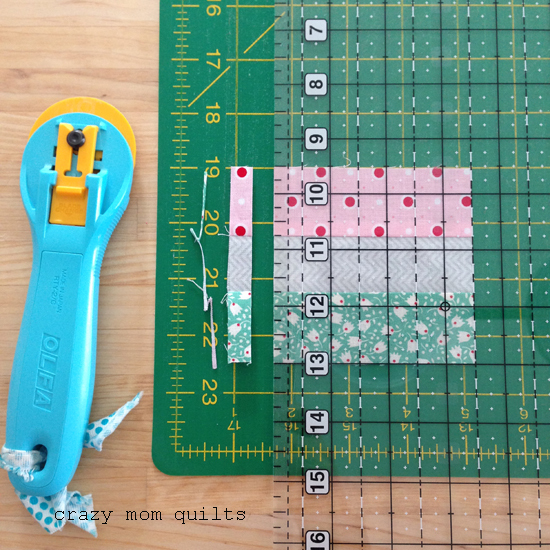 I'm not going to give specific yardage requirements for each quilt size, but if you are guesstimating, a baby size quilt usually requires about 1 1/2 to 2 yards of fabric. 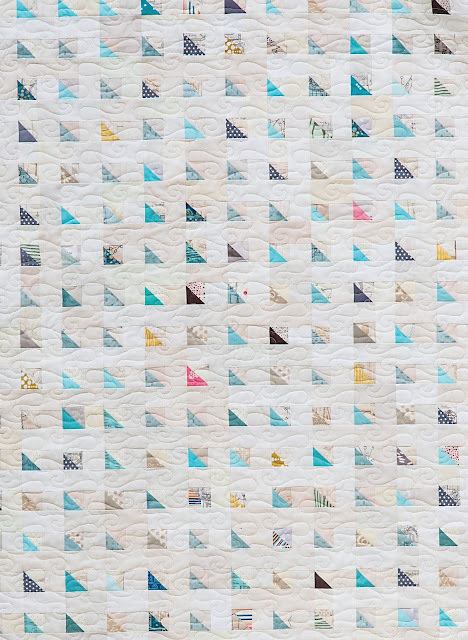 A lap size quilt generally uses 3 1/2 to 4 yards of fabric. A twin generally uses between 5 1/2 to 6 yards of fabric. A queen generally requires about 7 1/2 to 8 yards of fabric. 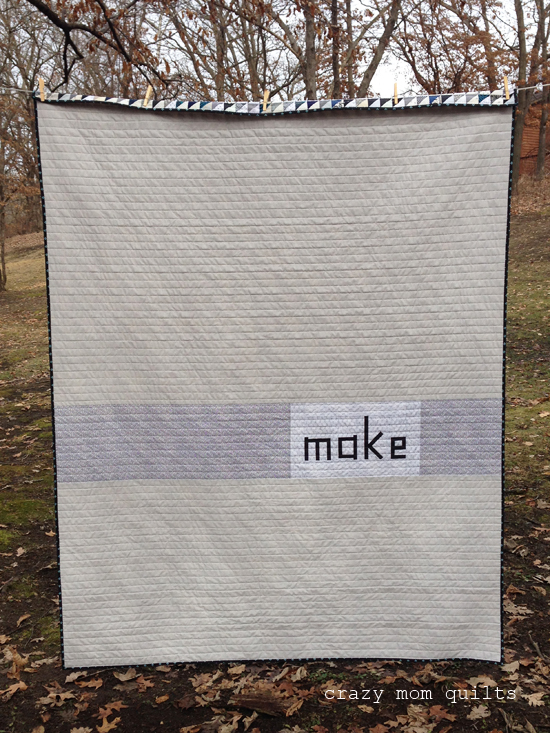 A king size quilt can use in the ballpark of 10 yards of fabric. 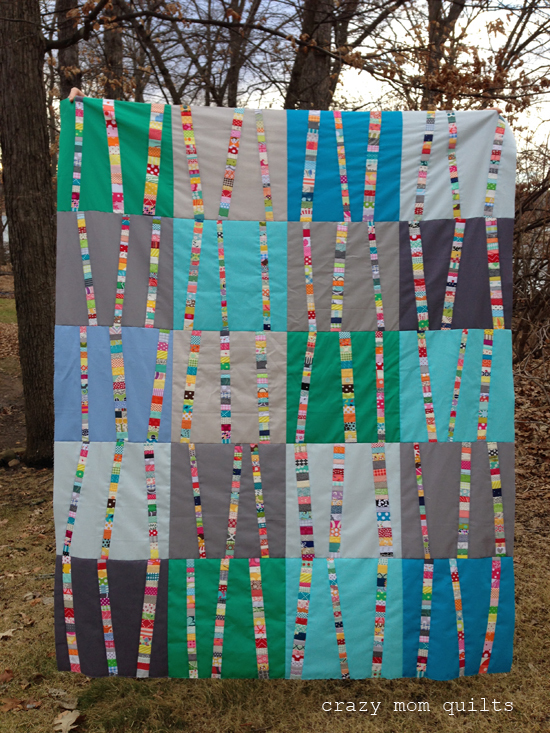 This quilt has more seams than most, so it will probably require more fabric than the amounts listed. These are just very general guidelines for an idea of how much fabric you may need. 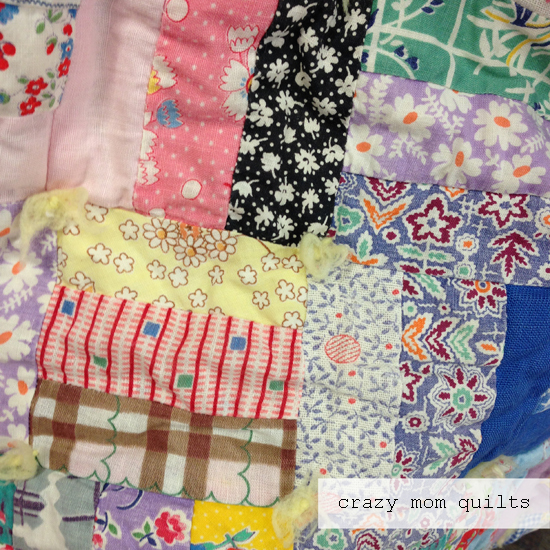 If you think making a whole quilt is just crazy, (and it might be!) 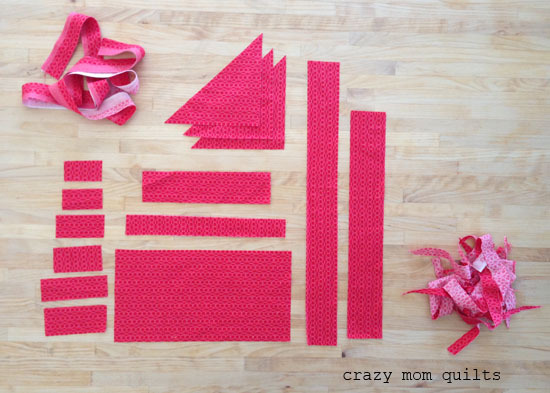 you could also use the block measurements for placemats. That would be pretty fun, too! If you use this tutorial, I'd love to see photos of your quilt.